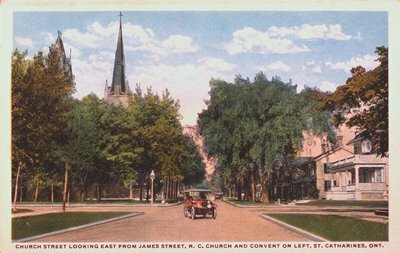 A postcard of Church Street looking east from James Street showing the Roman Catholic Church and Convent, St. Catharines, Ontario. Date Unknown. Published by F.H. Leslie, Ltd., Niagara Falls. Printed in the USA.